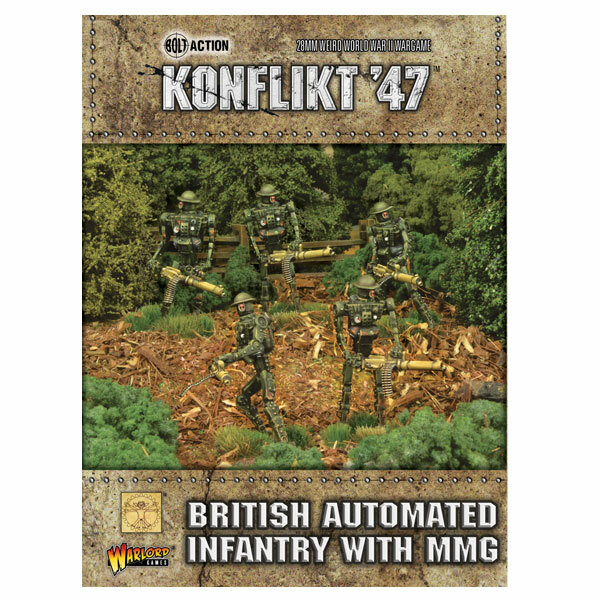 Ok, so maybe this next set of Konflikt '47 releases aren't quite as cool (personal opinion) as the last set of releases, they're still pretty cool. 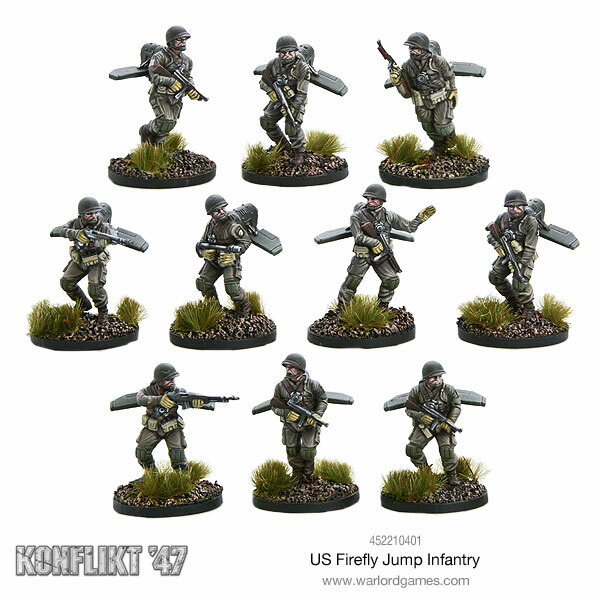 Warlord Games has a new batch of kits for the British, Soviets, and US forces. 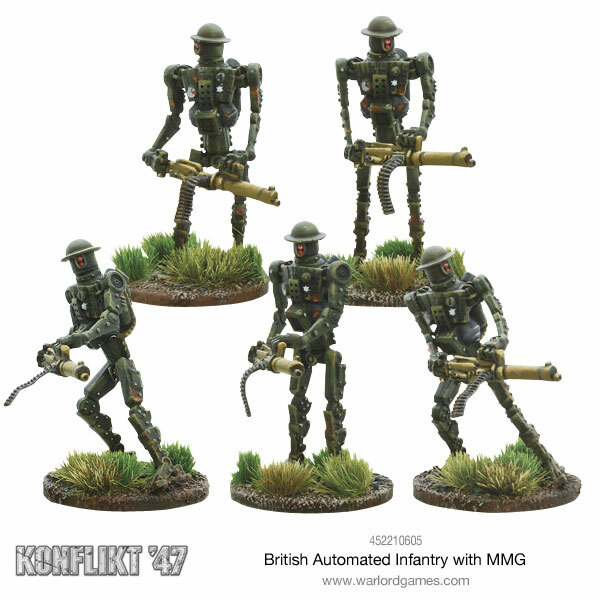 The Automated Infantry are capable of carrying considerable firepower, these 10 ft tall automatons can be used to spearhead assaults and defend rear-guards, protecting the British solider from these dangerous and casualty-heavy tasks. 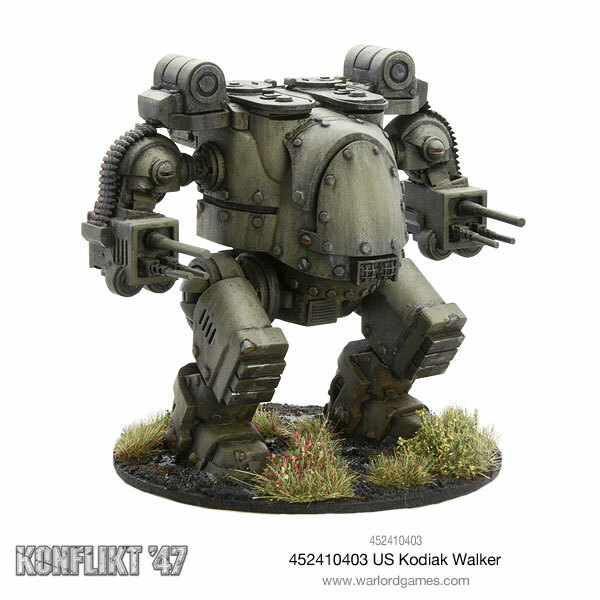 Coming with MMGs standard on their profile, the bare minimum number of automatons can dish out 8 shots together which can certainly keep any enemy squad on its toes. Take 5 of these and you are looking at 20 shots from this squad alone, no need for an army if you have two squads of these tin soldiers advancing relentlessly into the enemies ranks! The Soviets recognised the versatility of the German Spinne walker and were able to reverse engineer much of the technology from captured examples. 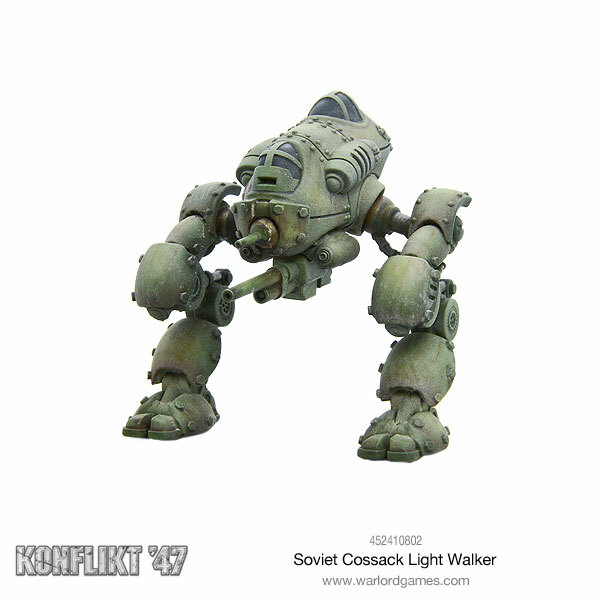 Using biped technology stolen from the US, they were able to produce the Cossack. Fast and agile it is an excellent recce vehicle. It excels in the open and often difficult ground that covers much of Eastern Europe. 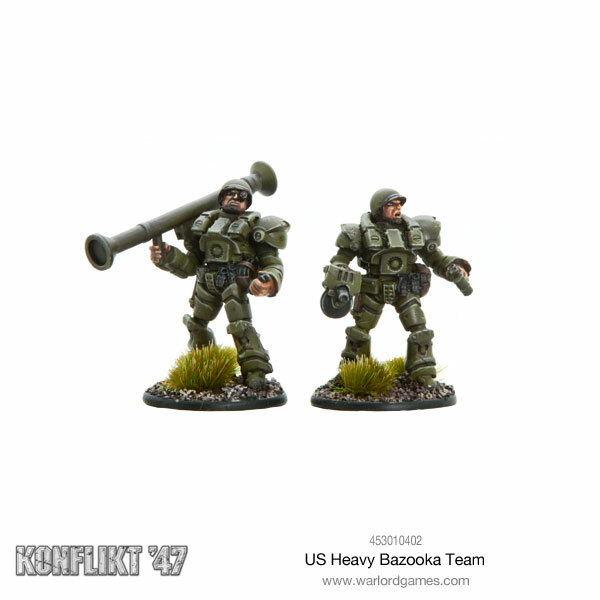 A whole new front of the war has been opened with the new and highly agile US Firefly Jump Infantry, the gargantuan Kodiak Walker and the ‘packing-a-punch’ Heavy Bazooka team!